Police is searching for assistant professor Adil Öksüz, one of the masterminds of the Gülenist-led failed coup attempt who was detained at the command center where Chief of General Staff Hulusi Akar and force commanders were held hostage, after he was released by a controversial court decision. 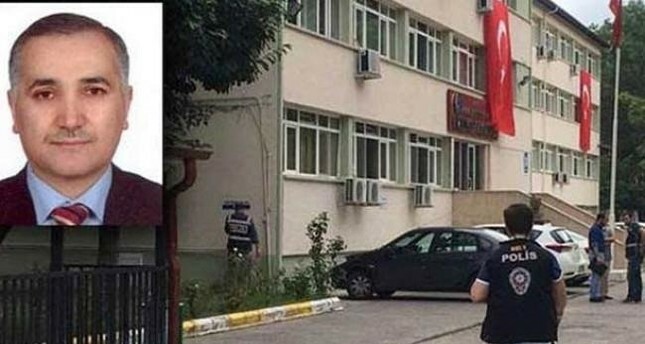 Öksüz, who is an assistant professor at Sakarya University, was reportedly released by the court, despite the prosecutor's objection, saying that Öksüz was present at Akıncılar Base, the 'command center of the coup,' despite the fact that he was a civilian. Referred to as the 'black box' of the Gülenist Terror Organization (FETÖ), Öksüz reportedly acts as the 'air force leader' of FETÖ. Reports said that he has been working with and received orders regarding FETÖ's military activity from Mustafa Özcan, who is known to be the country-wide leader of FETÖ. He allegedly became the air force figure of Gülenists in the military after their former leader Hamidullah Öztürk escaped to Brazil. FETÖ, also referred to as the Gülen Movement, operates on a secretive structure, with leaders and representatives at the district, provincial and nation-wide levels who both act as insiders and decision-makers steering the movement. They face heightened scrutiny after being accused of masterminding last week's failed coup attempt to topple the democratically elected government of Turkey. Since 2013, Gülenists declared war on Turkey with three coup attempts, through their agents who have infiltrated Turkish state institutions including the judiciary, police, military and civil service. FETÖ is designated as a national threat and terrorist organization, is accused of a long sheet of crimes, the latest being the July 15 coup attempt. They already face jail for illegal wiretapping of thousands of people, sham trials to imprison Gülen Movement's critics, money laundering, blackmail, extortion and forgery through infiltrators within the police, judiciary, bureaucracy and military.